The Wait Is Over! Kareena Kapoor Khan will be performing at the Zee Cine Awards 2017. Yes, you read that right! The newest mommy on the block is simply unstoppable!!! The beautiful and regal Kareena Kapoor Khan has given her nod to perform at the prestigious Zee Cine Awards 2017. Kareena, known to be strong-willed and 'full-of-life' both on and off-screen is undoubtedly one of the most versatile actresses in India. The lady is a trendsetter and is known for breaking stereotypes. Zee Cine Awards 2017 will surely surprise its viewers with a stunning performance by this charismatic actress to a medley of some latest chartbusters. The actress is currently enjoying motherhood and also handling her professional life well. The first stage performance by this graceful diva, after giving birth to a handsome baby boy, will be the showstopper performance of this Awards. Speaking about her performance, Kareena said, "This is the best phase of my life and it feels great to be back on the stage. Zee Cine Awards is a celebration of the best of Indian Cinema and being a part of this show truly feels special. I am sure the viewers will enjoy the act as much as I did rehearsing and performing it." 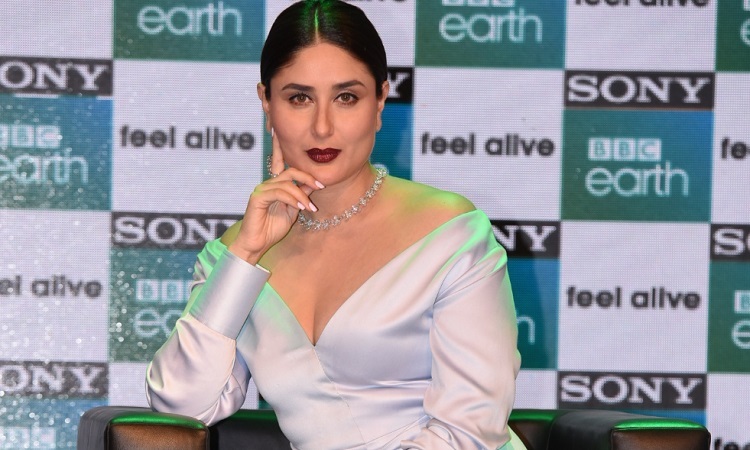 Kareena will be seen sharing the stage with some of Bollywood's biggest names - Salman Khan, Alia Bhatt, Varun Dhawan, Govinda, Raveena Tandon amongst many others.